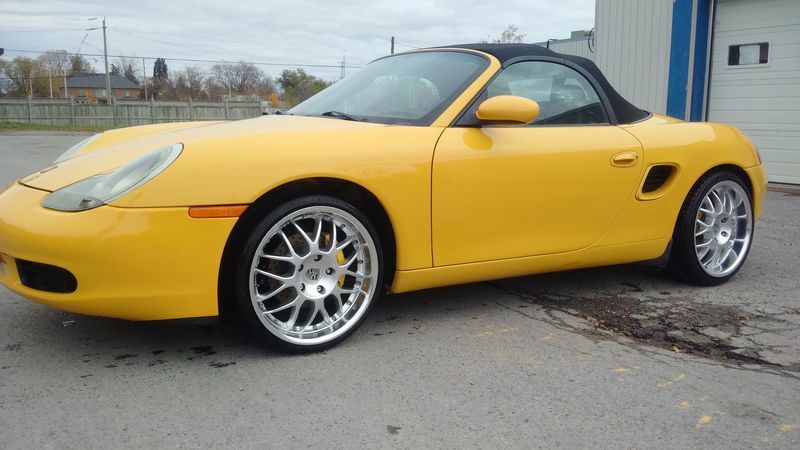 I am lucky enough to have been able to buy my GF a 2000 Boxster we call "The Bird" in hommage to the RUF CTR "Yellow Bird". I also have a 2001 C2 Cabriolet. I'm a long time wrencher on old Audi cars and hope to be able to contribute to the common knowledge here. I had to look up your reference to the RUF CTR... WOW. I love the wheels, and the color's not bad too! Welcome to the Porsche Club! I like that yellow, I almost bought a Yellow Cayman S but it sold before I could take a look at it, because I was checking out corvettes at the time. you should make friends w toronto member gta_g20 - he's just sunk himself into the old audi pit of despair. personally trying to keep a 2002 allroad running myself; the oil leaks, injector leaks, air suspension leaks, and bad electrics make my boxster seem easy.